Paul Morphy attended Jefferson Academy at 53 Royal Street, almost right next door to his home at 89 Royal Street. While located officially on Royal Street, it was actually tucked away between Royal and Bourbon Streets. Mr. J. G. Lord was the school master. Paul attended the Academy along with his brother, Edward and his closest friend, Charles Maurian. In 1850, he enrolled at Spring Hill College in Mobile, Alabama. Again, he attended with Edward and Charles Maurian. Records at the college show that his conduct was impeccable and that he excelled in Latin, Greek, French and English as well as in Mathematics. He was elected president of the Thespian Society his first year and played the part of Charles in the Comédie Française, Grégoire. The following year he played the part of Portia in the Merchant of Venice while his brother played the part of Shylock. Paul received his A.B degree in 1854. At the commencement ceremony, he gave an address on the condition for a just war. It's worth noting that at this time, he had already concluded that forcible succession was not a just cause for war. The following year Paul received his A.M. degree. His commencement address was entitled, "The Political Creed of the Age." According to Maurian, Morphy received the highest honors ever bestowed by Spring Hill College and that during his time there, he devoted himself to mathematics and philosophy. Maurian also claimed that during his entire stay at Spring Hill, except when he went home for vacations, Morphy rarely, almost never, played chess. He further states that, "Morphy was never so passionately fond, so inordinately devoted to chess as is generally believed." In her little 1926 booklet, The Life of Paul Morphy in the Vieux Carré of New-Orleans and Abroad, Regina Morphy-Voitier writes about Maurian's reminiscences at Spring Hill in which he again stresses Morphy's lack of chess involvement. He also recounts how, while he and Paul happened to both be in the infirmary together for a few days, Morphy taught him to play. "How is it possible that two intelligent beings should sit for an hour or more moving little figures of black and white wood, and find recreation therein? "If you knew the game, " he answered, "you would change your opinion." "Well," I replied, "suppose you teach me the moves just to kill time, for I feel I shall never have the patience to play a game through." Paul taught me the moves. 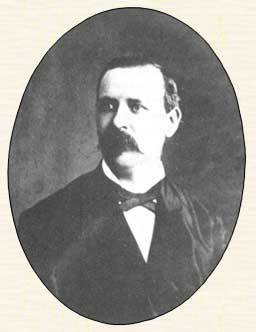 After graduating from Spring Hill in 1855, Paul attended the Law School at the University of Louisiana. He received his L.L.B. 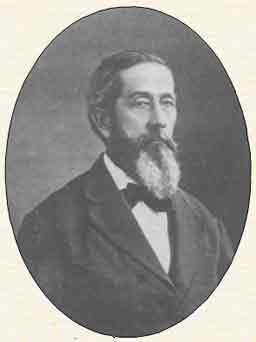 degree on April 7, 1857. While able to easily recite the entire Civil Code of Louisiana by heart, Paul was to young to be admitted to the bar. It would be another year before he could begin practicing law. Ernest Morphy was probably young Paul's greatest admirer. Besides sending Paul's games (and his only chess problem 5 ) to various publications, in Europe as well as in America, Ernest also tried to arrange matches with the best chess players in America, though to no avail. CHESS CHALLENGE EXTRAORDINARY. --- Mr. Ernest Morphy of Moscow, Claremont County, Ohio, [ Ernest lived in Ohio for a period of time] a very strong player and one of the most masterly analysts in this or any country, has written a private letter to a friend in this city, saying that he is desirous to get up a match, between the 1st and 31st of January next in New Orleans between his nephew, Paul Morphy, (as he writes, incontestably the superior of himself or Rousseau and who holds the sceptre of chess in New Orleans) and Mr. Stanley or Marache (and we presume any other players in the country) for $300 a side -- $100 to go to the loser (if Paul wins) to pay the expenses of the journey to New Orleans. Mr. James McConnell, attorney at law, New Orleans or Paul Morphy himself, may be written in regard to it. The proposition emanates from Mr. Ernest Morphy, who subscribes the $50 towards the purse. Mr. Paul Morphy, the most promising player of the day, yields [sic] the chess sceptre of New Orleans. His late challenge to any player in the United States has not yet been accepted.